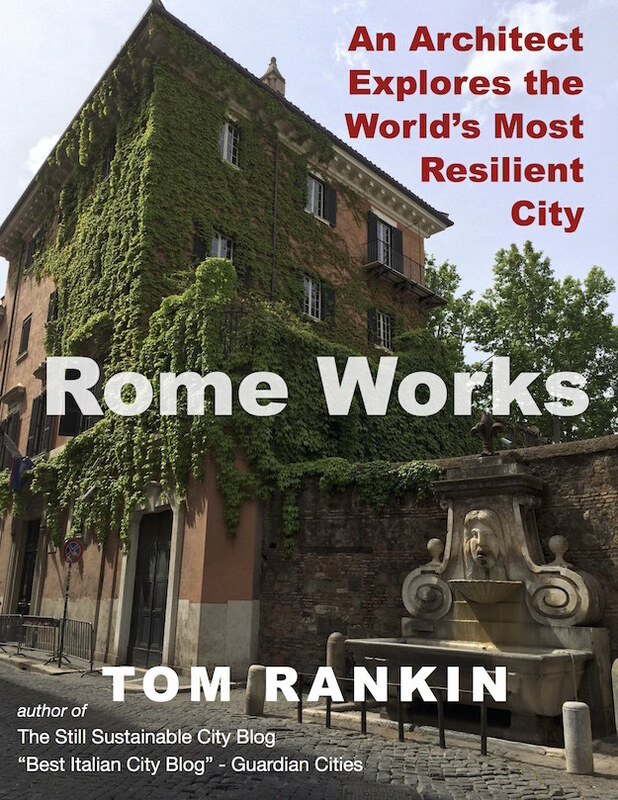 Book Description: Although Rome has triggered countless books, Rome Works is the first to view the city through the lens of environmental sustainability. Presenting seven case studies in sustainability from across a range of historical periods, it explores in detail Rome’s impressive history of low-impact urban growth. Although Rome has triggered countless books, Rome Works is the first to view the city through the lens of environmental sustainability. Presenting seven case studies in sustainability from across a range of historical periods, it explores in detail Rome’s impressive history of low-impact urban growth. Tom Rankin draws on his 20 years of experience as a professor and practitioner of architecture in Rome to examine this tradition from several vantage points. He considers the fabric of the built infrastructure, urban mobility and the ways that Romans have dealt with the challenges posed by transportation, energy use, water supply and waste removal. He also explores the roles that political and economic forces and, most importantly, civic values, have played in shaping Rome’s development. The seven studies are less finished models of sustainability, the author writes, than complex and messy but instructive laboratories of experimentation and adjustment over time. As he writes about the systems that allowed Rome to function in the past and which continue to do so today, Rankin also weaves in stories of his own passionate but at times exasperated relationship with the Eternal City. Rome Works posits that development in Rome stands at a fork in the road. It can proceed along its current, growth-based trajectory, inspired by the American development model, or it can take an historically-grounded, authentically Roman path toward a greener economy. Rome Works Copyright © 2015 by Thomas Greene Rankin. All Rights Reserved. Copyright © 2015 Thomas Greene Rankin. All rights reserved. Image Credits: All sketches and photographs by the author or in public domain.